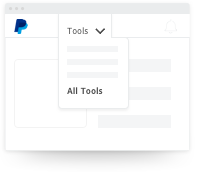 It’s now easier to accept, track and manage recurring online payments from your customers for bills, subscriptions and more with PayPal’s Automatic Payments. 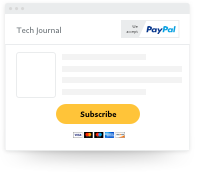 With all your subscription and recurring payments in one place, it's a lot easier to see who has paid you and who hasn't. Even with subscription and recurring payments, you still pay no monthly or set-up fees and only get charged a small fee when you get paid. Like any other eligible transactions, your subscription and recurring payments will still be protected by Seller Protection. Log in to your account, go to Tools and select All Tools. Select Recurring Payments and click Create a Subscription button. Once customers click Subscribe, their payment will appear in your account.